The long wait is over. We’ve heard the cries for NEW COFFEES! 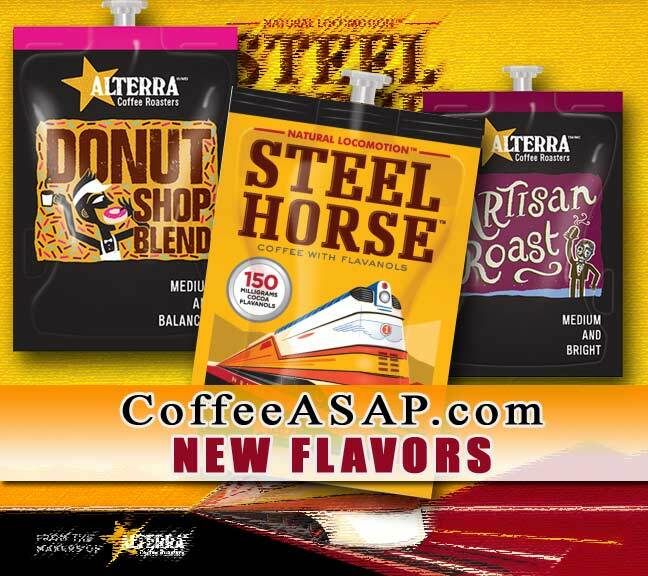 is the First Hot Powered drink simply by have two ingredients in the coffee. First is just the finest of the Coffee Beans that naturally comes with Caffeine. Second is the 150mg of pure Cocoa Flavanols per serving. of Carmel, Berry, and Honey. A classic, reinterpreted! different blends of coffee. The Artisan Roast is also a Medium and Bright body of coffee. This medium roast has the fruity characters of the beans with distinctive bright notes. From all of us at CoffeeASAP we hope you will enjoy these new blends.